On Monday December 12, 2016, students in the full-time CCIU Practical Nursing Program based out of Downingtown became the 119th class to graduate from this program. Row 1 left to right: Emily Simpson, Aletra Moore, Jennifer Arroyo (Salutatorian), Nadine Broomall, Claudia Guzman, Silva, Kim Davis, Grace Crompton, Michele Carpenter. Row 2 left to right: Tedescha Short, Serrita Schofield, Keisha Sumner, Maureen King (Valedictorian), Emily Walls, Zack Kowalski, Bodio Kyne, Rayjalakshmi Chodapaneedi, Heather Brown, Aisha Champagne, Brianda Thompson and L’Tanya Taylor. Row 3 left to right: Leslie Waltz, Sharon Hodge, Kris Krueger, Terry Boate, Tess Berkman and Nancy Haughton. DOWNINGTOWN — Friends and family gathered on December 8 to congratulate 30 new licensed practical nurses (LPNs) on their graduation from the Chester County Intermediate Unit (CCIU) Practical Nursing Program. The graduates were composed of part-time students from the West Grove campus and full-time students from the Downingtown program. The ceremony began with the CCIU executive director, Dr. Joseph O’Brien, welcoming and congratulating the graduates on their achievements. The part-time cohort is the fifth class to graduate from the West Grove campus. The full-time cohort is the 119th class to graduate from Downingtown. 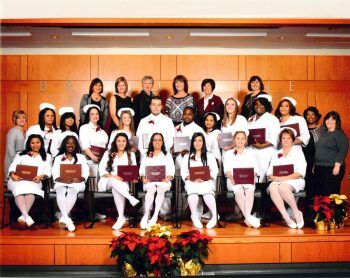 The Practical Nursing Program’s director, Nancy Haughton, presented the graduates, including the Downingtown cohort valedictorian Maureen T. King and salutatorian Jennifer Arroyo. Haughton also recognized the West Grove class valedictorian Edwin Iris Lewis and salutatorian Sook Kyung Lee. West Grove’s class president Rebecca Sisson and Downingtown’s class president Jennifer Arroyo lead their respective classes in the Practical Nursing Pledge and then introduced the guest speaker, Talisa Lewis, an LPN from Kendall Crosslands and alumni of the LPN program. In her remarks, Lewis stressed that there exists a growing demand for LPNs in the private sector and encouraged graduates to take the knowledge they’ve gained and use it, like she did, to make an impact in the communities they will serve. 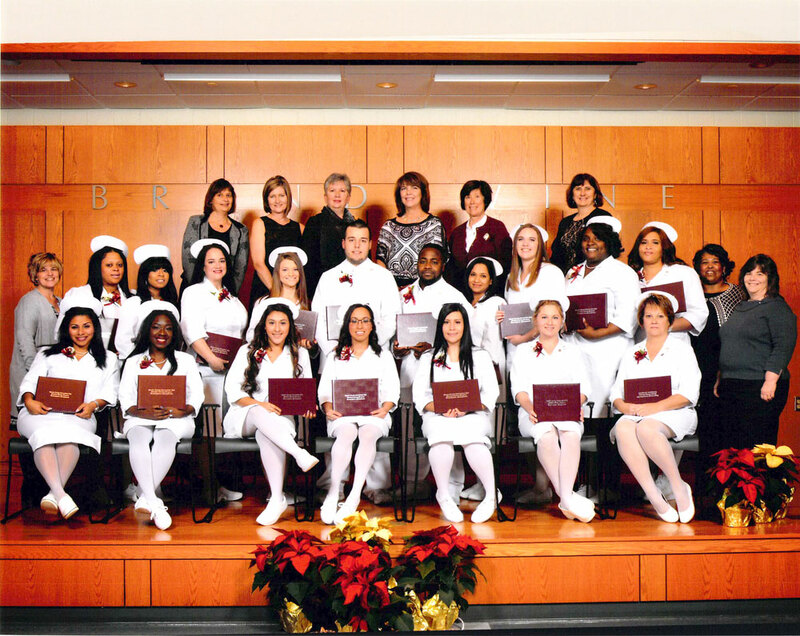 Following Lewis’ remarks, 12 students were inducted into the National Association of Licensed Practical Nurses, Inc. Honor Society. To learn more about the Chester County Intermediate Unit’s Practical Nursing Program, visit www.chestercountynursing.org.